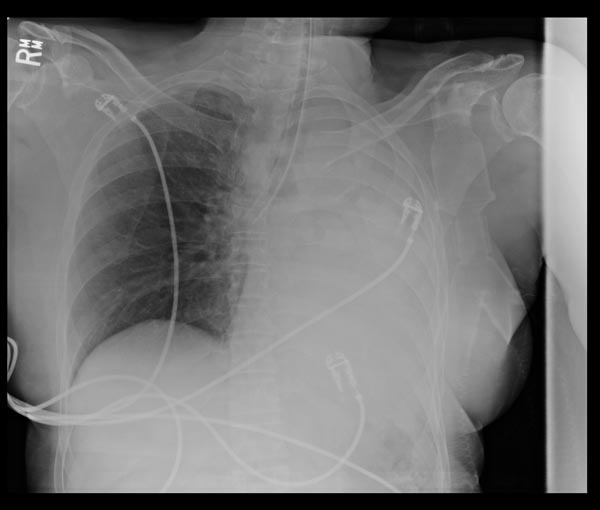 This supine AP CXR shows selective intubation of the right main bronchus, with collapse of the left lung and mediastinal shift to the left. Unilateral ‘white out’ on a CXR is usually due to collapse, consolidation, pleural fluid, or previous pneumonectomy. With collapse the mediastinum moves towards the opacified side, whereas pleural fluid will tend to push the mediastinum away. Always look for an underlying cause (such as right main bronchus intubation). 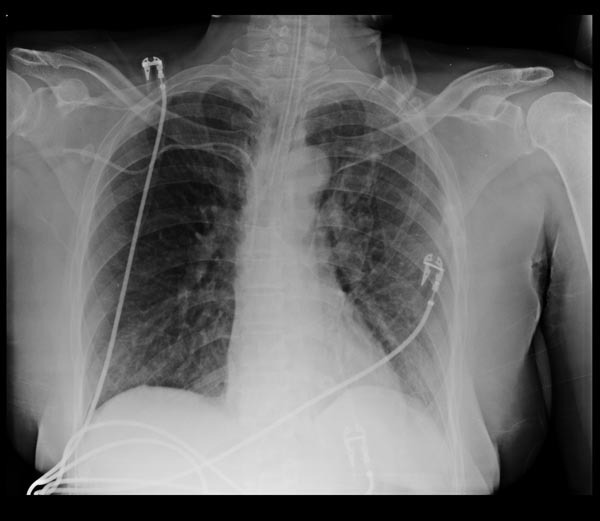 Air bronchograms suggest consolidation. Pneumonectomy patients will have other evidence of previous surgery. Q2. What is the key intervention required? The tip of the ETT is now above the level of the carina. All case-based scenarios on INTENSIVE are fictional. They may include realistic non-identifiable clinical data and are derived from learning points taken from clinical practice. Clinical details are not those of any particular person; they are created to add educational value to the scenarios.